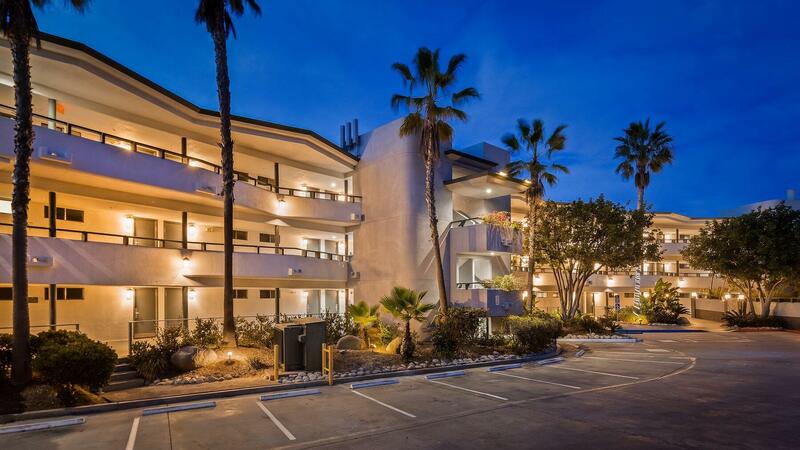 The BEST WESTERN Encinitas Inn & Suites at Moonlight Beach is conveniently located on a shoreline hill of Encinitas Boulevard, right off the I-5 Freeway. We’re a ten-minute walk from Moonlight Beach and downtown Encinitas as well as a mile from the San Diego Botanic Garden. Just 30 minutes from the San Diego International Airport, we’re the perfect gateway to everything you want to see and do in Southern California. For more information about the hotel, to book accommodations for an upcoming event or to leave a comment or suggestion about a recent stay, please contact us.